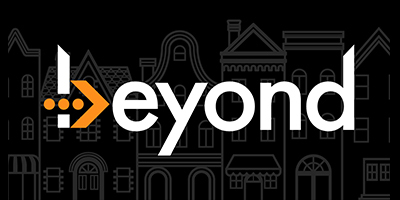 Beyond was created in 2017 by Robert O. Carr, a prominent businessman and philanthropist whose track record of success reflects his deep belief that “doing the right thing” for customers and employees ultimately produces the best bottom-line results. Carr has brought on a team of experts in the industry to build a world-class company. Our commitment to transparent, customer-first service is spelled out in the Beyond Promises: 10 principles setting out the company’s commitment to fair treatment, plain language and full disclosure, with no hidden fees and no unexpected surcharges or arbitrary pricing changes. Beyond designated the non-profit Give Something Back (Give Back) a founding partner and beneficiary. Established by Carr in 2003, Give Back provides college scholarships and mentoring to students who have faced economic hardship and other challenges such as foster care or the incarceration of a parent. So far, Give Back has prepaid over 1,500 scholarships for students at partner colleges and universities across the country—an upfront investment of more than $36 million. By investing in the minds and futures of smart, capable young people, Beyond is building a well-prepared workforce and contributing to a growing economy – which creates greater opportunities for our customers and for our company.